I rarely post "weekend update" posts on my blog because I feel like they're a little trite. I'm one of those who scans over those posts--I hate to admit it. But then there are those weekends that happen and are glorious and just scream for a post to be written about them, so I get it. I totally get it. This past weekend was one of those for me. It was a weekend that changed my attitude. I was silent over here yesterday because my weekend was still happening--I'm lucky and had 4 days off in a row, and even luckier because Andrew and I were both off together yesterday. So I savored every moment and soaked in being off work and being with him and it was perfect. I've somehow let half of November slip by without a mere mention of "gratefulness" or "thankfulness." What is wrong with me? Those are the posts that matter, after all. And you know what happens when we're not offering up gratefulness? We're probably griping or complaining. Life's too beautiful for all of that, friends. This past weekend grabbed a hold of me and made me realize all that I had to be thankful for. It wasn't anything miraculous--I didn't travel far or see any wonders of the world, but I can't count the number of times that I stopped, looked around, and thought, "man, I am so blessed." I made a promise to myself that I wasn't going to waste my 4 days off--how easy it is to sleep in, spend time watching Netflix, or getting buried in the catching up of laundry. Those things can wait a few more days, I told myself. Instead, I spent it with family. I spent it with friends I don't get to see often. I brought a new friend to church. And I celebrated. I'm refreshed and renewed and can't stop smiling and I'm so grateful for those kind of weekends. This past weekend is the kind of weekend I've needed for quite a while--a time to slow down and recharge and remember what really matters. 1) I spent Friday and Saturday shopping and having girl time with my mom, sister, and niece and it was just what I needed--I'm grateful that my mom and my sister are my best friends. 2) I got to spend plenty of time with that adorable baby who is not only the cutest thing in the world, but also the sweetest. I'm grateful to have a healthy, perfect niece. 3) Saturday morning consisted of Starbucks and Target shopping, and if that isn't the best Saturday morning ever, I don't know what is. I'm grateful to be able to buy Christmas gifts for loved ones. 4) While Andrew was gone, Nena and I had lots of quality time together, and although she drives me nuts, she is my buddy. I'm grateful that she teaches me patience and love every day. 5) Sunday night was our Friendsgiving with our Sunday School class and other friends in the area. You know me and you know how much I love being surrounded by loved ones. I'm grateful for this community that we're building and the support we give each other. 6) Monday was the day I looked most forward to on my mini vacation--Andrew was home and we spent the day in our pjs decorating for Christmas, catching up on TV shows, and just enjoying being together. I'm grateful that the Lord made my heart for Andrew's and I'm grateful that we get to celebrate our first married holiday season. Sometimes His blessings just overwhelm me. My awesome BFF Ashten has sparked my heart to be a little more in tune with gratitude this November, and for that, I'm grateful, too. 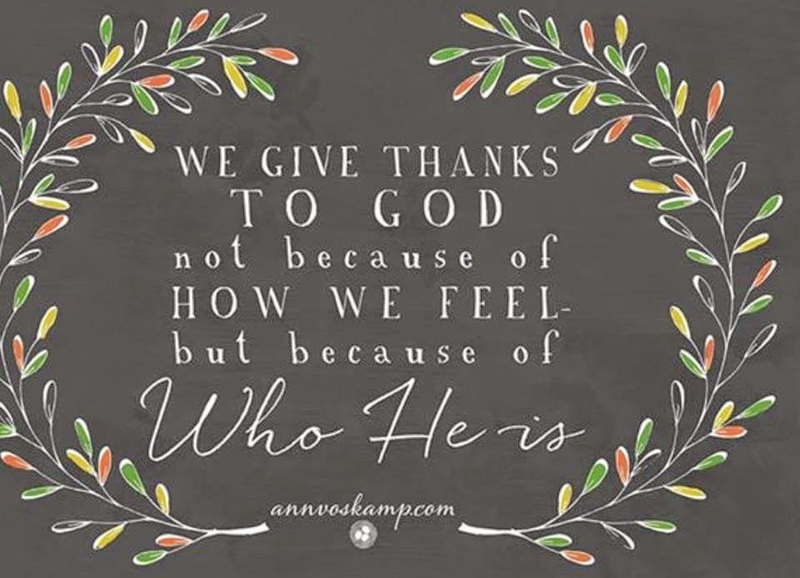 I encourage you to check out her Gratitude Friday posts and challenge yourself to not to get caught up in the busyness of the holidays but rather to be grateful for the busyness. Grateful that we have a home to clean and decorate for parties. Grateful that we CAN go grocery shopping and prepare huge meals for family members. Grateful that we have the means to buy Christmas gifts for those we love.